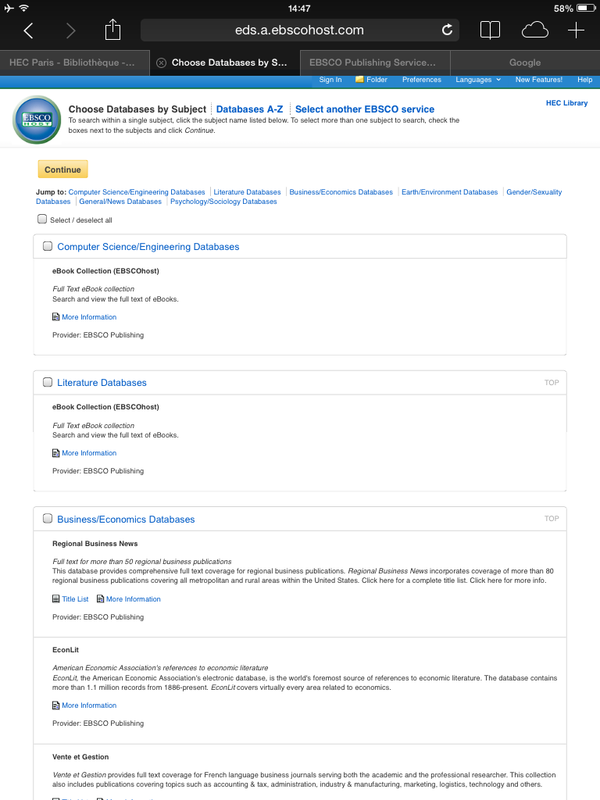 The Library susbscribes to ScienceDirect and Emerald journals databases. Here are two pieces of information that might be useful to you. Altmetrics (i.e mentions on social media) are useful to monitor real-time engagement on recent articles which are not yet cited. They present a well-rounded view of how an article is being bookmarked, used, discussed, and shared. 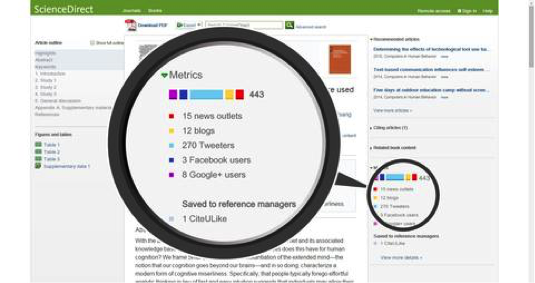 ScienceDirect has included ALMs and altmetrics on articles in a few popular journals since 2011, partnering with altmetrics provider Altmetric.com to capture online mentions in mainstream and social media, and other web-based communities. The number has expanded, and today 250 Elsevier journals now feature these metrics. « Article level metrics: a valuable way to gauge an article’s real-time impact. » Elsevier ScienceDirect Blog, September 3, 2015. In order to track citations of articles/chapters, you must ensure you are registered on Emerald database. You will then be able to access the “My Account area”. First, carry out your search and then check the boxes of the articles of which you wish to track the citation. Select the relevant option from the drop down menu: “Track citation” to add to the alerts in My Account. You will automatically be diverted to the Alerts section in My Account. 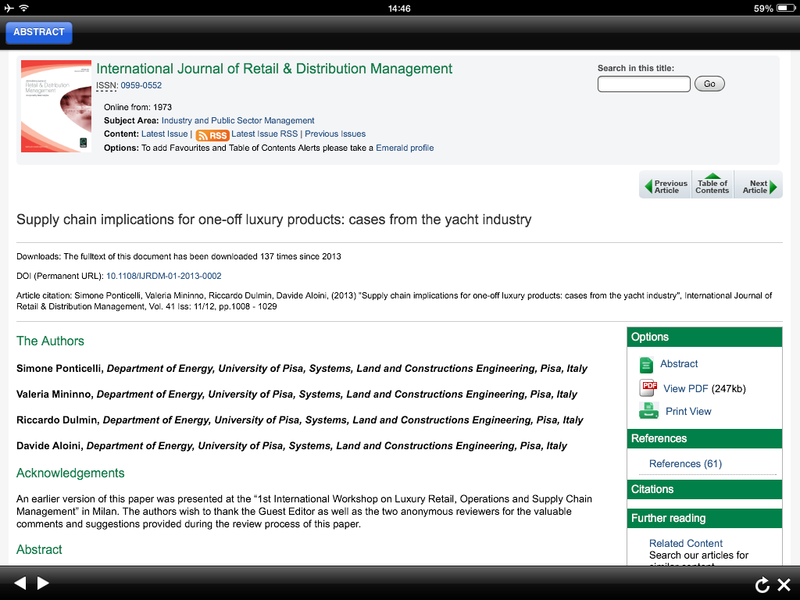 Select the Citation alerts to view the articles/chapters that you want tracked. 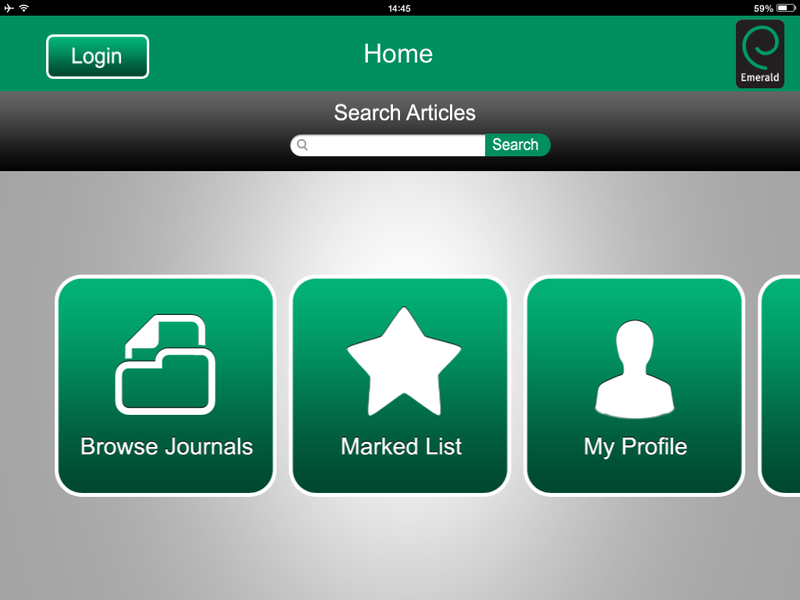 With the growing use of mobile devices in both daily and academic life, databases and other online resources are increasingly providing mobile access or developing applications to support their platforms. 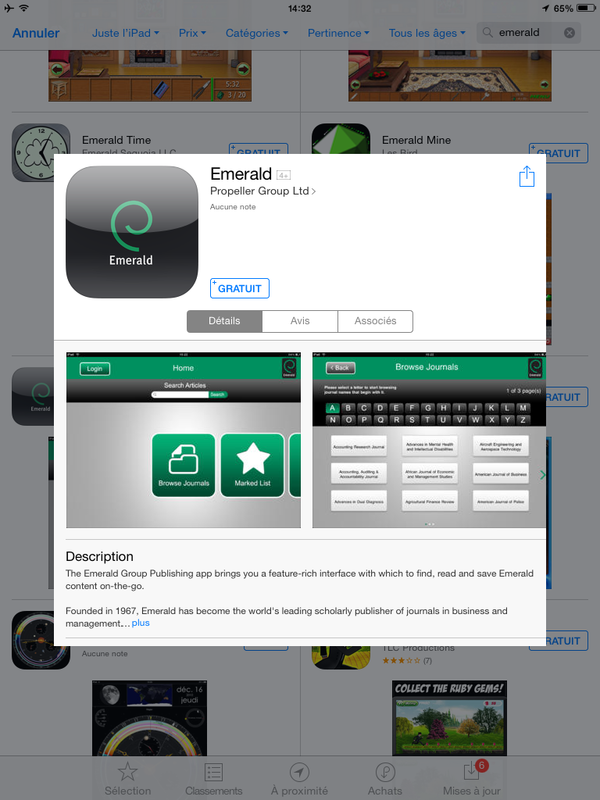 Emerald is a leading publisher of journals and books in the business and management domains. 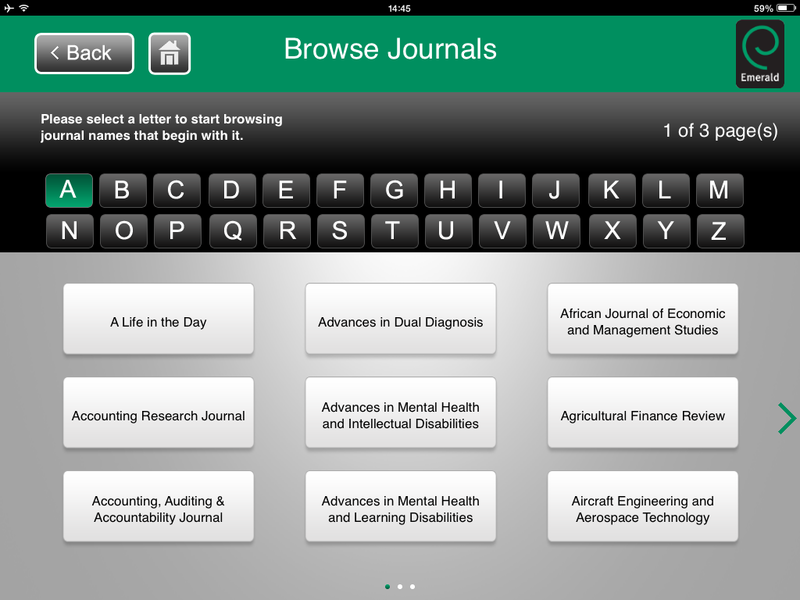 Few month ago, Emerald has released a free application for iPad and iPhone which provides access to 100 000 journal articles, available from the app store. Once downloaded, open the application. 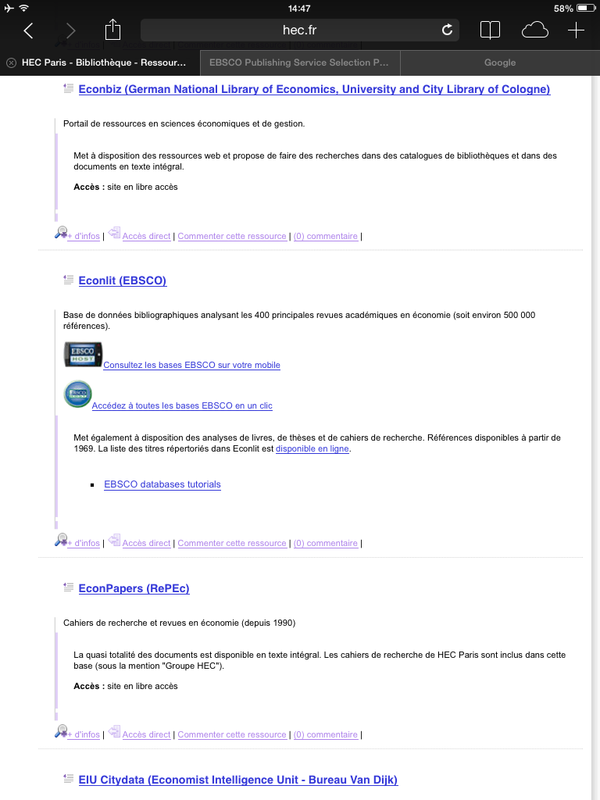 You can search for articles using the simple search field. 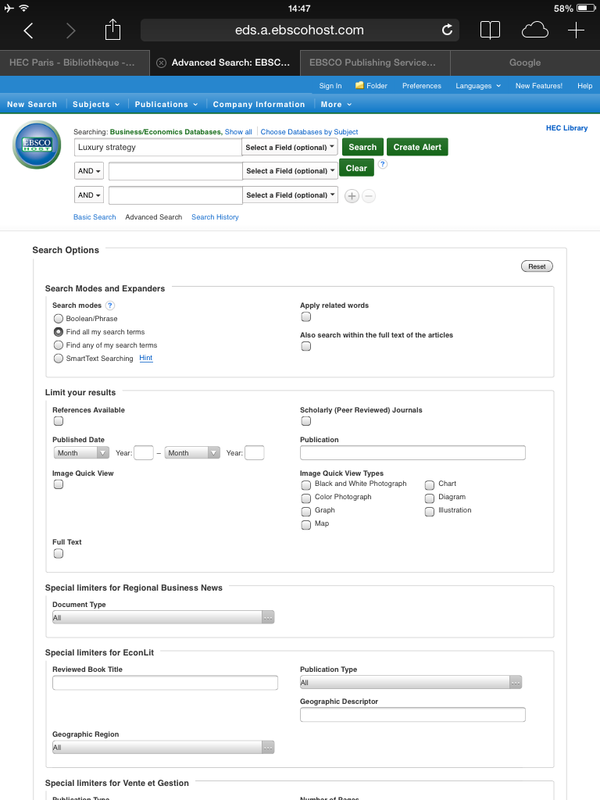 Your results will be displayed in the form of icons depicting each article title. 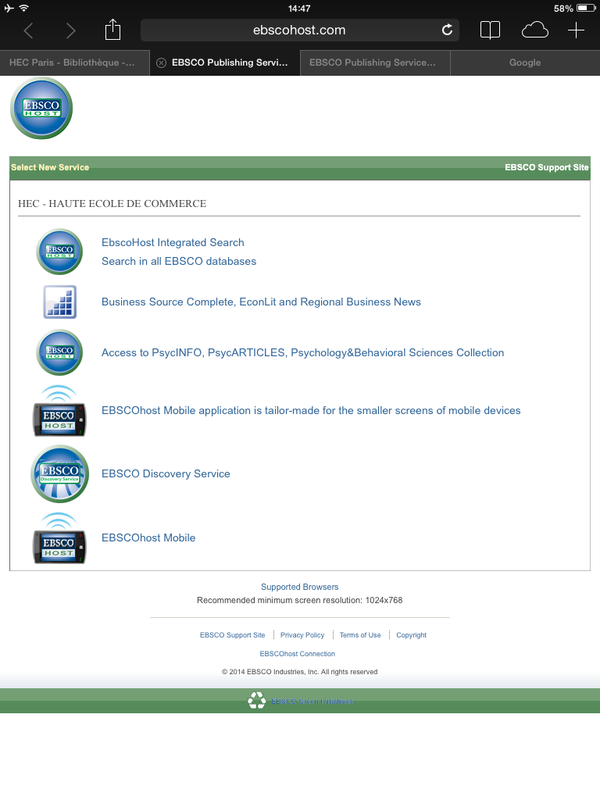 NB: If you are connected to the HEC Wifi network you will also be able to get the PDF full text for each article. 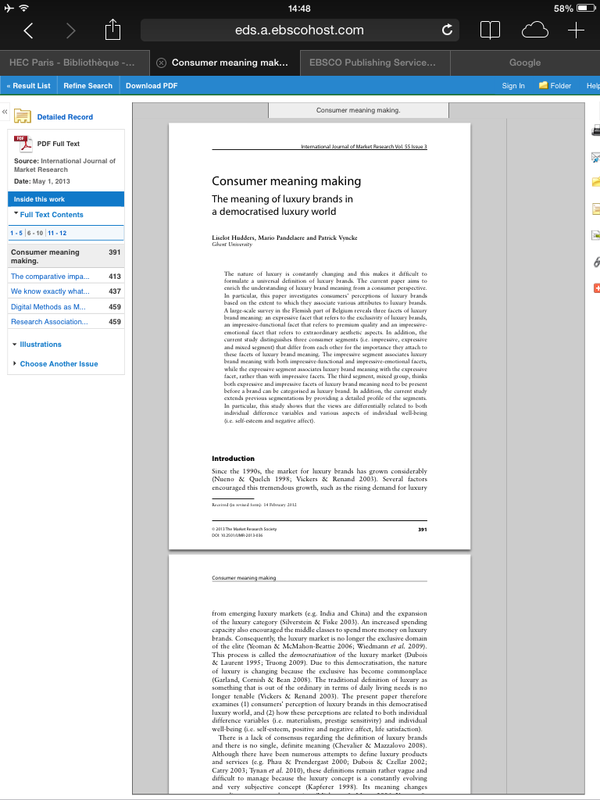 The “Read Full-Text” icon will take you to an article summary page (redirected via your browser) with the option to view the article in full, PDF format in the tool bar on the right hand side of the screen.